Seniors who need help with activities of daily living can receive home health services in their retirement apartment instead of moving to a licensed assisted living facility. This permits you to maintain a more independent lifestyle, and keep a larger living unit, often at a lower cost than comparable assisted living facilities. Treemont has entered into a “Preferred Provider” agreement with Senior Allegiance, Inc. which is licensed to provide both skilled home health services under the Medicare program, and Personal Assistance services. Under the Preferred Provider agreement, Senior Allegiance maintains an office within the Treemont campus so that it is better able to meet the needs of our residents. Many existing Treemont residents choose to add home health services as their needs increase. This provides support which helps them maintain their social connections in the community. 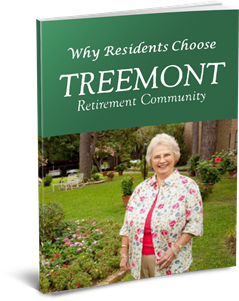 Other residents choose to add home health services when they initially move to Treemont. For these residents, the services can ease their transition to a new living setting and help them get off to a good start. One valuable service is helping seniors to manage their medications. Seniors over 70 can easily average more than a dozen medications or nutritional supplements a day. Keeping track of which pills to take at different times of day can be a challenge, and forgetting medications or taking them twice can have significant health consequences. Senior Allegiance offers both a full medication management program and also a less extensive set-up and reminders program at a lower cost. This program can provide significant peace of mind to residents and their family members. Often this one service is the only assistance needed to allow a resident to stay in an independent living apartment instead of in assisted living. Another popular service is the “AM start” program that provides assistance with bathing and dressing, and helps residents get up and out to breakfast in the morning. This positive start to the day helps assure residents are able to fully enjoy the activities and social life at Treemont. 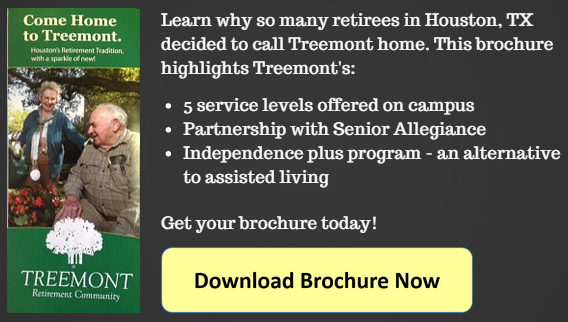 Senior Allegiance offers preferred pricing for its services to Treemont Residents. Because Senior Allegiance, Inc. maintains an office on-site, residents never have to worry about “minimum visit” charges. Keep in mind that residents are able to choose any licensed home health provider for their service needs. As part of the Preferred Provider agreement, Senior Allegiance offers free periodic checks of blood pressure and other vital signs to all residents of Treemont. This helps provide an early alert if residents are experiencing any health changes that could require further review by their doctors. Senior Allegiance, Inc. is knowledgeable about the benefits and requirements for home health services under the Medicare program and is able to work with resident’s personal doctors to provide necessary and appropriate services paid for by Medicare. As part of the Preferred Provider Agreement, Senior Allegiance provides a range of services for FREE to new residents, during the first 3 days after a move-in to Treemont. We find this 72 Hour Service Program to be very valuable in helping new residents more quickly feel comfortable in their new home and deal with the normal stress associated with any move. 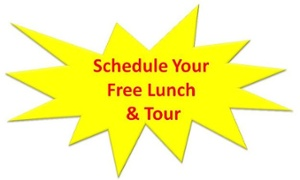 To find out more, contact us or call Cindy Harrell at (713) 975-1519 or (281) 881-7332 (cell) today. We would love to hear from you! Click for a general resource guide: Assisted Living Houston — what to consider.